PEBBLE BEACH — It was a wet and windy round two of the AT&T Pebble Beach Pro-Am on Friday, which usually means golf fans chose to fight through the conditions or stay inside huddled by the television. But not at this year’s tournament. The Paso Robles High School golf team made the trip out to the Monterey Bay despite the rain. 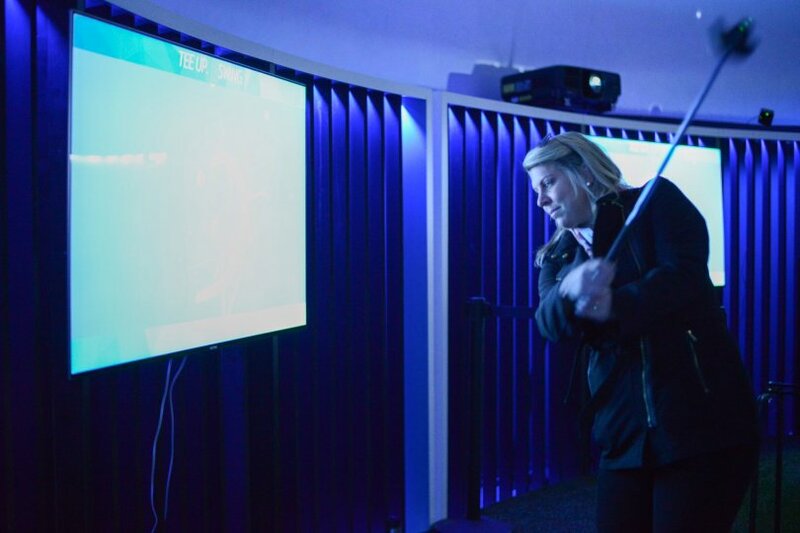 And junior golfer Hayden Wagner was one of many fans who took advantage of the new features inside the AT&T FanDome. Wagner, 16, threw on a pair of virtual reality goggles that allowed him to watch the game from a giant perspective. “It was really cool being able to watch the first and 18th hole from a much larger viewpoint,” Wagner said. For the first time at the tournament, AT&T worked with the PGA Tour to feature live augmented reality and 360-degree tournament coverage available for fans in the United States on their Apple device. The PGA Tour AR application came out last year and will add a “360-degree Tee Box” presented by AT&T so fans can experience holes No. 1 and 18 on Pebble Beach Golf Links up close and personal. The PGA Tour will provide fans with never-before-seen access to the first and 18th tee boxes through a 360-degree camera live stream available only on the PGA Tour AR app. 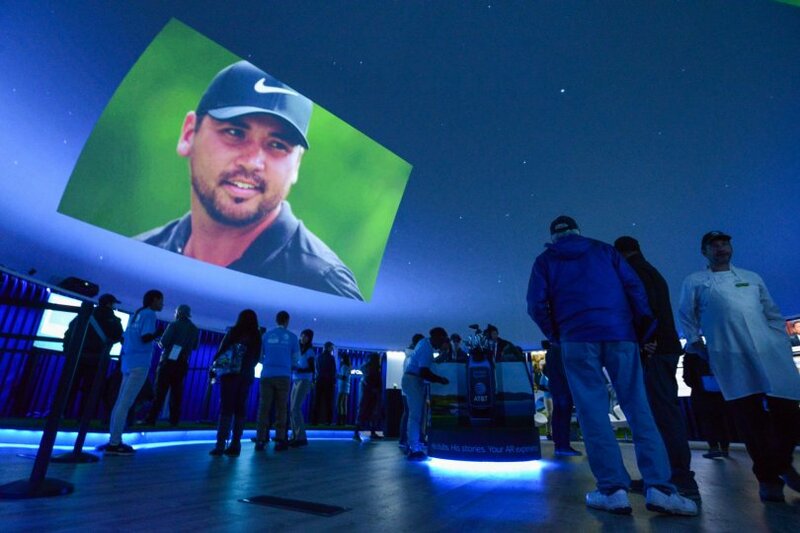 Wagner watched his coaches and teammates interact with other new features inside the 50-foot wide golf ball-shaped tent located at the “Triangle,” an area close to holes No. 6, 7, 8 and 14. The popular mobile game, Golf Clash was also available along with something called the unique Swing Print where fans swung a golf club to create a piece of art they got to print and take home. Wagner said it was neat to create his own Swing Print to see how his swing compared to Spieth’s. He compared the software similar to the swing tracker that most of the big time broadcast stations have. “It just tells you your general directions of where you’re going,” Wagner said. Wagner said he attended last year’s event on a day it was packed and busy all around the golf course. He said Friday’s trip was way better because it wasn’t quite as crowded. “This year was really cool because it’s not quite as busy, so we get to experience the course more and get to watch the pros,” Wagner said. It also probably wasn’t quite as busy because the rain kept a majority of the fans stuck inside one of the makeshift clubhouses on the course or at The Lodge. Play was suspended shortly after 2 p.m. and golfers will continue the second round on Saturday starting at 7:10 a.m. The rain and early finish also meant it was harder for fans to interact with celebrities and professional athletes as they walked along the three golf courses: Pebble Beach Golf Links, Spyglass Hill Golf Course, and the Shore Course at Monterey Peninsula Country Club. Paso Robles junior varsity coach Jim Steaffens said the interactive features were definitely fun to mess around with and actually found them to be useful, especially on a rainy day. He said all the new technology is making it easier for golfers to practice their stuff even if it’s indoors. Wagner added it would really be useful to have something similar at the school. 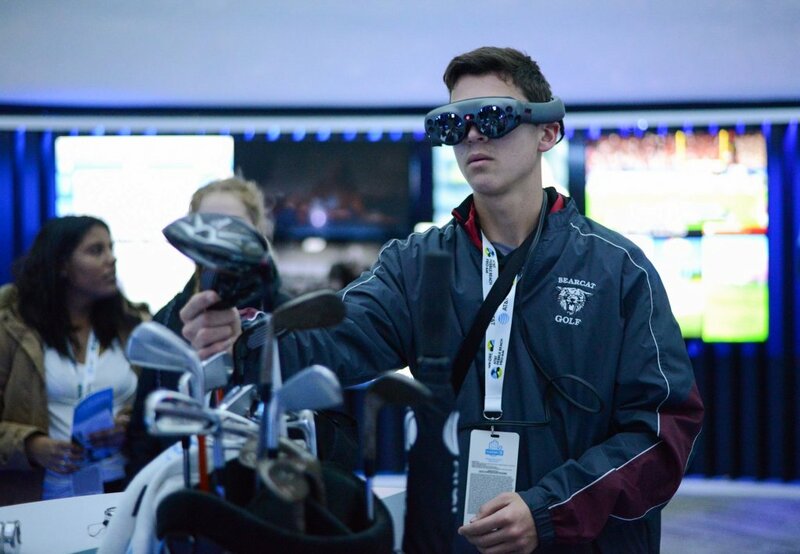 Spieth was featured in augmented reality software using Magic Leap One glasses, which are made to interact with his golf bag and clubs. Paso Robles junior Alex Plale had a chance to physically hold one of Spieth’s golf clubs from his golf bag. Wagner watched his teammate play with the software and thought it was a cool idea, even though he didn’t use them. “We want fans to connect with the technology-meets-entertainment world of golf that we’re able to deliver them. 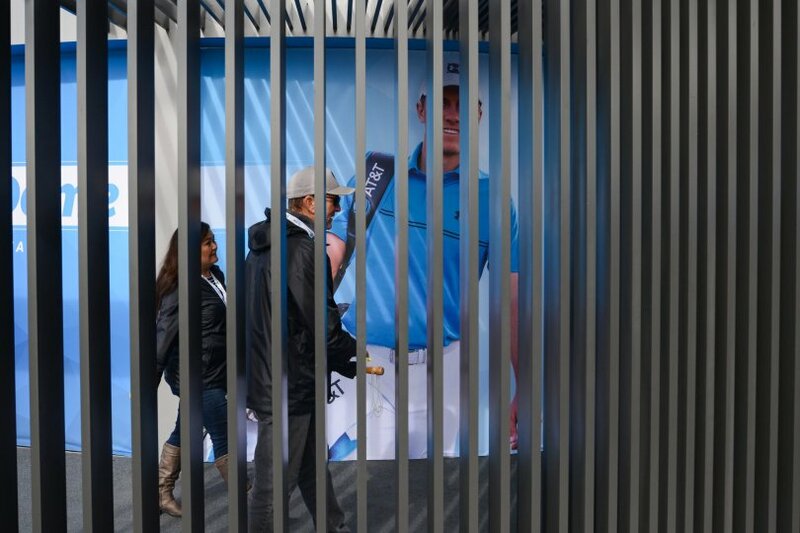 It’s an immersive experience onsite – one that shows them all the ways that AT&T can take watching golf to a whole new level on and off the green,” Suzuki said.